Yook Woo Hin @ Petaling Street. 1928 – 2011? 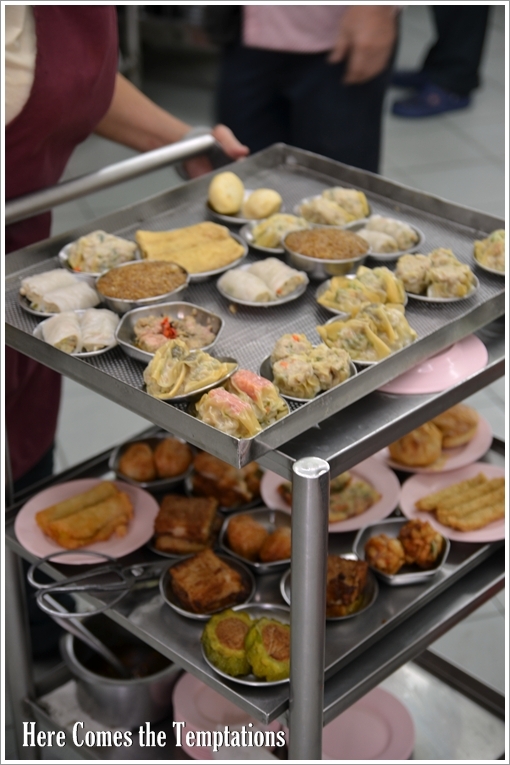 Piping hot and fresh dim sum being carted by the ladies of Yook Woo Hin. Still the same modus operandi over the years, and still exuding that nostalgic charm of old ‘yum cha’ (literally translated to ‘drink tea’ or breakfast) establishments. The revelation came when I read this piece of news. That a stretch of old shops in Petaling Street and Jalan Sultan will be demolished very soon to pave the way for development. Again. Read the full story ramblings ahead …. Will I be going home only to be greeted by nothing but skyscrapers, elevated highways, scorching heat emitted from the glaringly cold and lifeless steel structures, rail tracks zig-zagging their way across town; intermittent by state-of-the-art, massive MRT stations and breathing in air quality of API 100 and above? A far-fetched thought for the moment, but at the rate of how Malaysia has failed to appreciate the utmost values of preserving heritage, the environment, and sustainable ecology, this grim scenario may just lie on the horizon. Coincidentally, there was a glimmer of hope when The Star ran a story on modern landscaping projects, the back-to-nature concept being taken seriously once again, and the impact of rapid yet unplanned modernization on our country. Make your decision fast. As the shop had all but ONE dedicated lady with the trolley that morning. So if you’re seated at the back of the shop, then be prepared for lots of waiting as she has to travel to and fro from the tables to the front cabinet to reload her artillery of fresh dim sum. Yook Woo Hin is a restaurant in the heart of KL city that one will not appreciate if you have been accustomed to kopitiam providing free WiFi services, menus laminated with glitzy colourful shots of food and drinks, air-conditioning blasting away at 18 degrees Celcius or less, and paying a compulsory service fee when you have to write your own orders on the ordering chits and walk over to the counter and pay for your food. Almost tucked hidden behind a ‘foliage’ of stalls plying Petaling Street, which is closed to motorists (supposedly), searching for this restaurant might not be a walk in the park. Unless you knew where to seek for it … and you have to be on foot, of course. 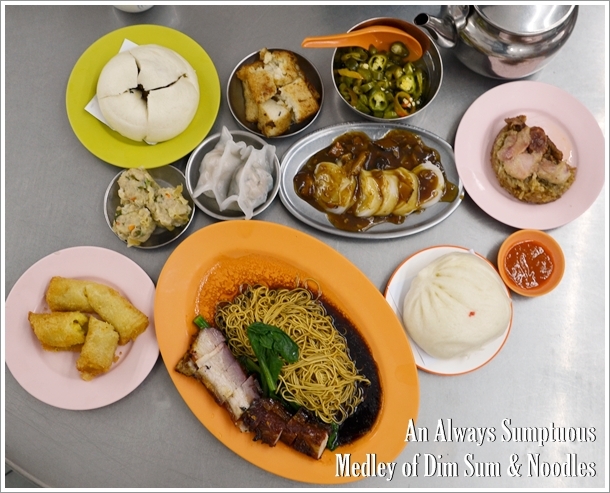 Specializing in dim sum and several noodle and rice dishes, as well as a few significant dishes (mostly revolving around pork; eg: char siew (bbq pork), siew yoke (roast pork belly), spare ribs, etc) Yook Woo Hin has been around since 1928. 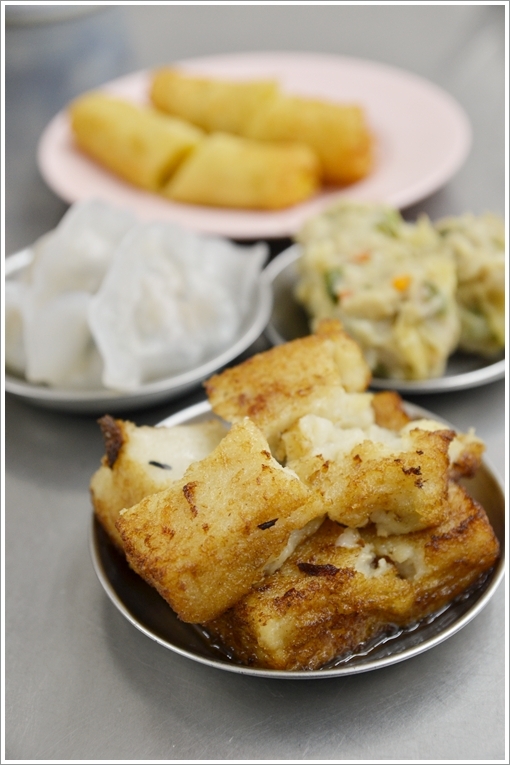 The Lor Bak Gou (fried radish cake) was good, but be weary of the soaked in oil condition of the cakes. The furthest in the picture plate of fried spring rolls filled with a creamy custard filling was another good bet, though the pork dumplings (siew mai) were decent at best. Yes, 1928. Our grandfather’s era (if you’re an 80’s baby like me), and they have not decided to upscale to some fancy eateries with fusion dim sum nor commercialize the brand. Walking in into this very brightly-lit restaurant that has managed to garner an “A” rating from the local authority for their hygiene standards, the image of the older generations sipping tea, reading the dailies, talking about life and munching on ‘char siew pau’ played in my mind. Like how Hong Kong has their Lin Heung, Ipoh has the old Foh San; or maybe Ying Fa should be the yardstick now, and Penang has their Tai Tong, KL can proudly lay claim to their Yook Woo Hin. Lo and behold, this first dim sum experience may very well prove to be my last at Yook Woo Hin in this very same building. A painful thought, to say the least. 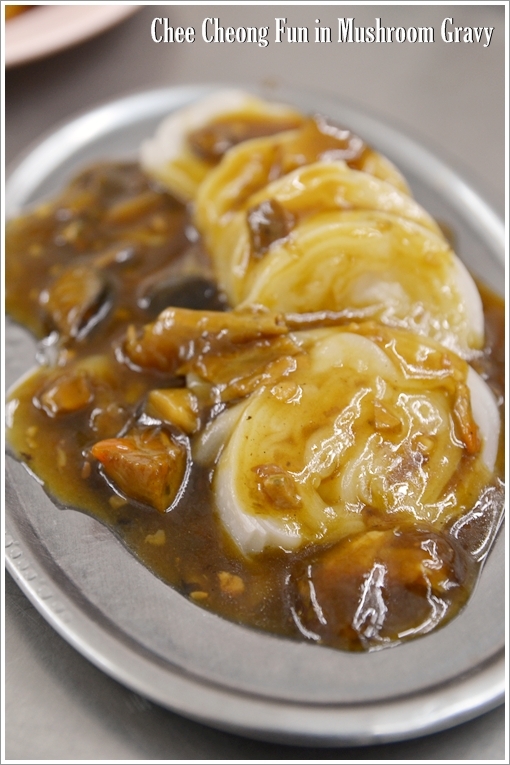 Unlike Ipoh’s version of ‘tung koo chap’ (mushroom gravy with minced pork), the one at Yook Woo Hin was of a more starchy quality, and the rice noodles were served in rolls of larger diameter. Still, one of the better ones in dim sum outlets in KL I reckon. No matter how badly they wish to replicate the same ambience, the sentimental values have all but evaporated with the times, and the intensive development of the entire vicinity. Chinatown of Singapore has successfully retained that old school charm from the olden days, and the façade of most heritage lots are being retained and maintained. In fact, the preservation culture extends to areas further away from Chinatown and the commercial hub. Must we attain UNESCO World Heritage Site status BEFORE we can recognize the value of these priceless gems? 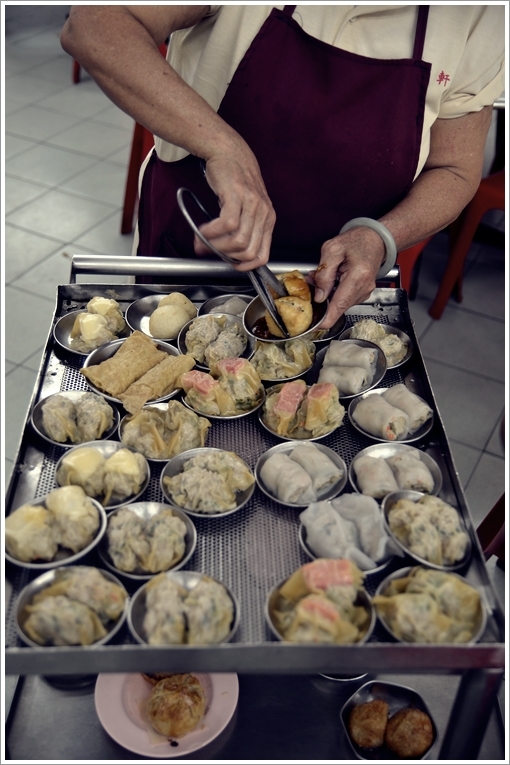 Clockwise from top left : The “Siew Mai” had a very bouncy, fresh texture associated with fresh pork being used and the dumplings were not kept for hours in the freezer after preparation. The spring rolls and the steamed bun essentially were filled with the same egg custard. The Lor Mai Gai (glutinous rice with chicken, mushroom and Chinese waxed sausages) was mediocre, being a little too dry. And if your head is spinning from the rants, I must apologize. This should be a food review, after all. But I was taken aback by this saddening turn of event. Succulent cuts of caramelized pork, being barbecued to a firm, toothy finish yet without being too chewy. 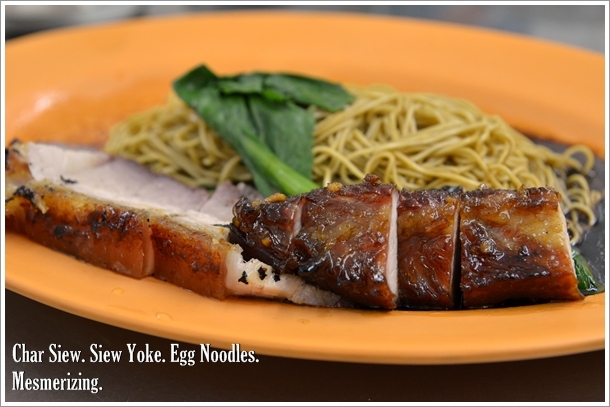 The char siew outshone the siew yoke (roast pork belly) indefinitely. And the egg noodles complemented the meats perfectly. Wait, should be the other way round …. If you have the time to spare, go on a stroll around Petaling Street; the Chinatown of Malaysia. Embrace the stimulating senses of the experience. This one-of-a-kind cultural meltdown in the heart of the city, where you can binge on your favourite street foods, indulge in street photography, and appreciate the rich legacy behind every story told. Pastries that you probably can’t find on the streets anymore. Let alone in the malls. “Yes, you might be pestered by persistent pirated DVD sellers. Yes, the fumes from buses and traffic during rush hours might put you off. Yes, parking is never a cinch around this area. Established 1928. Proudly emblazoned on the yellow-coloured signboard fronting the ever-buzzing with activities Petaling Street. But what will the future holds for Yook Woo Hin? To me, these are all but minor setbacks. Let’s look at the bigger picture here. For the enrichment of the next generations, by the time Malaysia has reached her Vision 2020 objectives; you wish that you can share these interesting details with them. And you can proudly say that yes, before Petaling Street has undergone serious facelift or worse, demolished into smithereens, you have been there and done that. 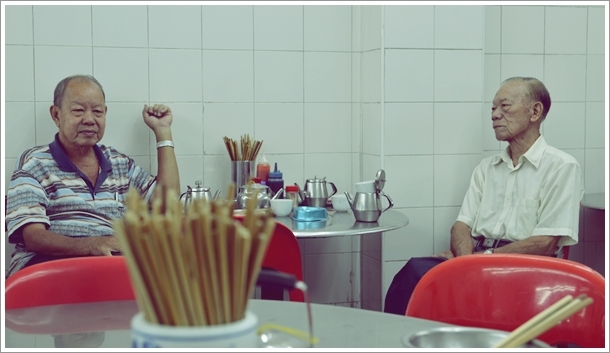 These gentlemen might have grown together with Yook Woo Hin; seeing the pace of life changes from the backwater surrounding that was Petaling Street, into what it is now. Business Hours : 5.30am – 2.30pm. Haha…. yeah, but come late and Petaling Street opens up a whole different category of street foods for your consumption; grilled fish etc. long time didnt drop by petaling street already, let alone trying the food there.. haha..
And yeah … I am one of those old folks enjoying my cup of tea and pau. Wah.. So So old history Coffee Shop..
Yeah …. we could have tried more stuff, if we had more time. 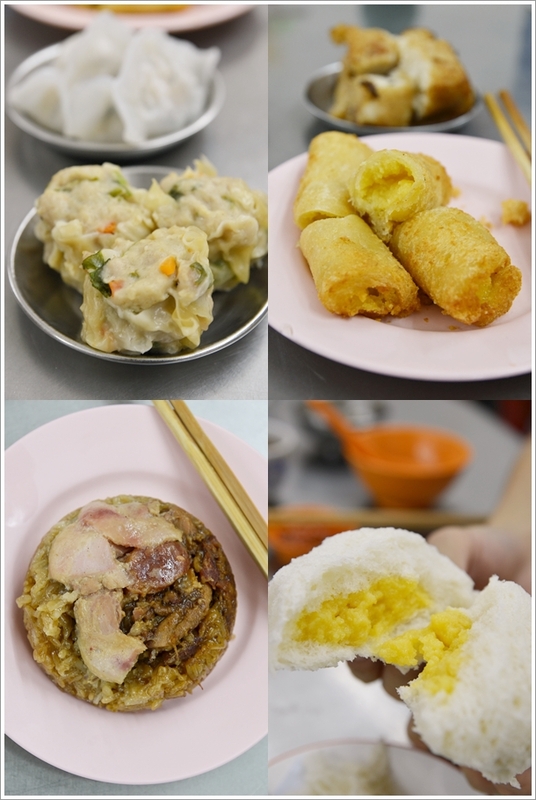 The Sze Ngan Chye duck or ngap kiok pau, the sweet potato balls and curry puffs with egg, the longan drink and the multi-flavoured mua chee. Let’s do Petaling Street again someday. Old-world charm prevails here… sadly maybe not for long? Let’s hope they relocate and still maintains the exact same ambience, people and food. 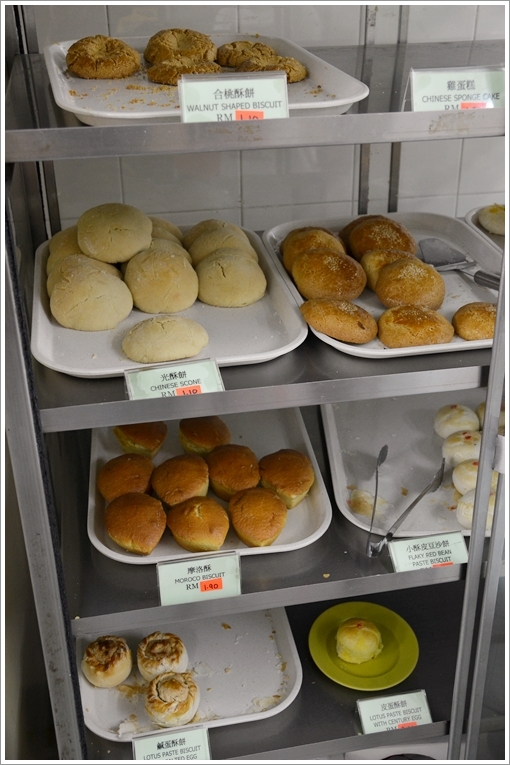 Chinese scones. hehehe… thats Kong Sou Peang izit??? Haha … yeah. Sharp eyes you have there. Bought back a few pieces, and everything’s good. Like how good old bakeries make them. Ah, saw the number of selections of pastry that they have. Looks really good. Only 1 person working? That must be a long wait. Grab as much dim sum as you can when she’s here! =) Haven’t been to a kopitiam for so long. Only one lady pushing the trolley. There are others taking orders, serving the hot dishes from the kitchen, refilling tea etc. So sad that they always target Chinese shops/area to close down to “modernise”. You must do a photographic journey/ tour of Petaling Street since that area has so many weird and wonderful stuff there. There even used to a be a coffin shop or 2 near the big bus station/ Police station area. Dogs were sold as meat in some of the back lane markets too. Your children will never get to experience this anymore. I would prefer to spoil myself with choice along the notorious dim sum street! LOVE this post and your rantings 🙂 OK, maybe there shouldn’t be a smiley but still, it gives me a warm feeling inside. Hey what happened to our street food plan in Pudu area? Long time never makan dy! 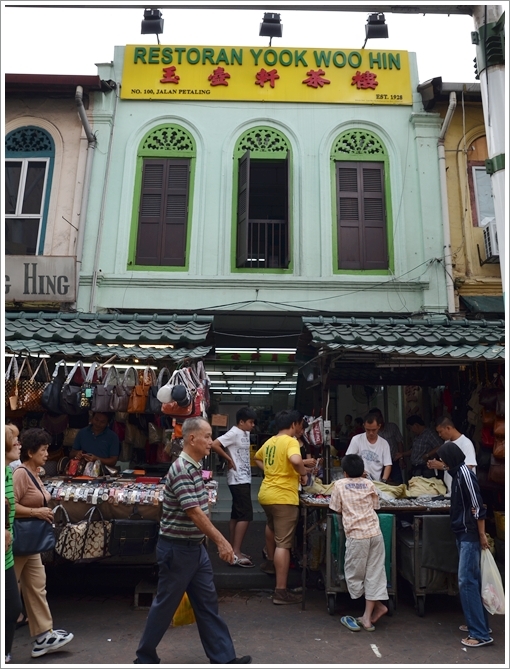 Yook Woo Hin at Petaling Street may have to close shop to make way for the proposed MRT project. Hopefully the authorities can relocate the MRT to somewhere else! It is not my intention to make political comments on a food blog but i am just wondering what are our Chinese political parties doing to help preserve the Chinese culture and roots? Already, Chinatown is ‘run’ by immigrants and with all these old-timers’ restaurants and shops gone, where is justice? Chinatown is so unique and full of characters, it is a shame to see it not make it to the next generation..
Perhaps IPOH should take over with a new image and positioning of “the Biggest Chinatown” in the country – it has Fohsan, chee cheong fun, yong tau foo, ipoh curr y laksa – all so wonderfully posted on your blog. Blogger ( like you) can really do your part to promote. Missed the place alot since 1990 onwards. Went there about 2 weeks ago after seeing this web. The food is really terrible and expensive. Non of the food were even warm when served. Actually, the Yook Woo Hin you portray above and the food you discuss are both several iterations away from “what it once was”. Back in the 60’s the place had a drain on the north side inside the restaurant, running much of the length of it, open to the sky for a few feet from the wall and letting in natural light. Yes, you could get some rain on you if you sat on the chairs nearest that wall. The tables were marble-topped, the chairs wooden. Lighting was nowhere near as harsh as it looks like in your picture. The opening to the sky was eventually covered over and the drain also covered. The food was quite different from what one gets now, with the old cooks retiring after the 70’s and onwards and who did not “pass down” their recipes to the succeeding generation. Many of their famous dishes have not survived and their menu is but a shadow of what the cuisine had been there. “Old timers” who have eaten there over the period stretching from then to now can attest to that. Pity. Hi Anon, thanks for sharing. I can relate to what you mentioned for similar classic establishments in Ipoh; marking rapid changes and swift commercialization within the past decade. The lost taste and touch of the original proprietor has been sorely missed, as in the case of signature items from the Ipoh’s food vault. My neighbour , Aunty Jing and me goes to China Town for morning breakfasts occasionally and we drop by today,31stAug,2012 , to YWH just so, for the last char siew pau and a pot of tea : “one for the road”. Indeed, we feel so sad that this place with the spirit of old charm will no longer be around….. though we were not able to get in the line , nor able to get a table here today because it is so pack with so many people sharing the same sentiments…. Can I get yUK woo hin mooncake at penang ?